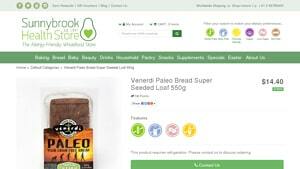 Wishing you could find Paleo grain free bread brands at your local supermarket or online? 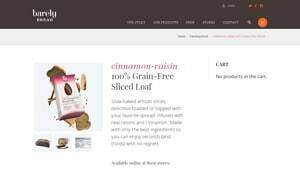 We’ve done the research and found companies claiming to cater to the grain free and Paleo consumer – we compare them on multiple factors such as ingredient labels, company claims as well as digging up reviews written on each product. 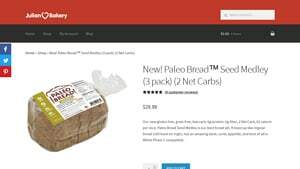 Have you been scouring product ingredient labels wishing you could find truly Paleo grain free bread brands, with little success? 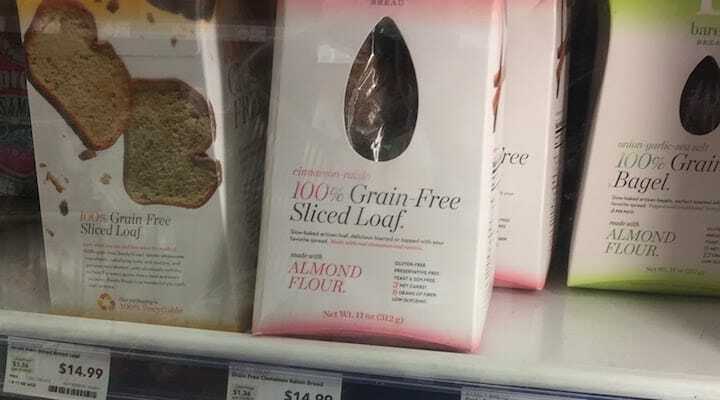 Luckily, in the last few years as various grain free diets (like Paleo, Whole30, AIP and SCD/GAPS) have become more mainstream, companies are popping up to offer products for us! In this article we go over our research into which brands currently available qualify as bread without grains. We’ve attempted to include enough information about each product, such as ingredients, product descriptions and even independent reviews, so that you can hopefully make an informed decision based on your own specific dietary needs. 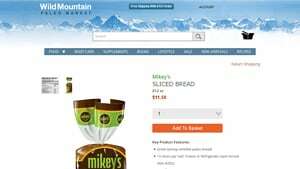 These products are typically available online and can be shipped straight to you (since these breads tends to be fairly shelf stable). A number of these brands are also available at specialty retailers like Whole Foods and local health food chains, although it may be harder to hunt down exactly which locations carry them consistently. We start off the article with some of the most strict products were were able to locate. 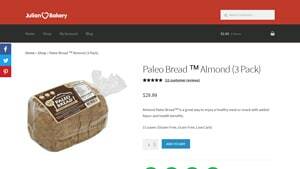 The following section lists a number of potential Paleo grain free bread brands we have found in our research. If you follow the Paleo Diet and are looking for where to buy grain free bread, these should be a great starting point. 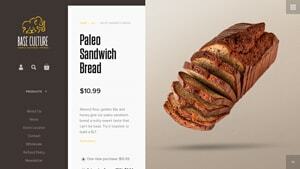 Not only do they avoid grains, but also legumes, sugars and all the requirements of the Paleo Diet. Purified Water, Almond Flour, Organic Coconut Flour, Egg Whites, Psyllium Seed Powder, Organic Lemon Juice, Potassium Bicarbonate, Sea Salt. 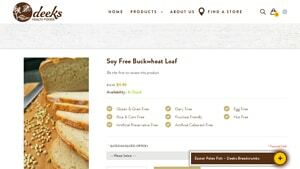 The following all advertise themselves as grain free sandwich breads, perfect for making lunch for work or for school. Although they are all are listed as bread without grains, take a look at the specific ingredients to figure out which might work the best with your particular dietary requirements. Water, Seeds (27.5%), (sunflower, Sesame, Pumpkin, Linseed, Poppy), Free Range Egg, Tapioca Starch, Almond Meal, Coconut Oil, Honey, Coconut Flour, Cider Vinegar, Vegetable Gum (guar Gum), Yeast, Salt. In this section we list a few other grainless breads we found in our research, that didn’t fit neatly into the categories above. They also may be a potentially good option if you are in the market for non grain bread. Water, Quinoa Flour, Tapioca, Buckwheat Flour, Sunflower Oil, Castor Sugar, Yeast, Vinegar, Guar Gum, Salt. 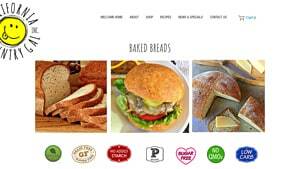 If you know of other great options for paleo grain free bread brands that we missed, please let us know in the comments below. We are always attempting to include the best options available.